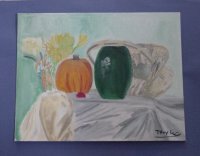 A still life is a group of nonmoving objects that are the subject matter for a work of art. 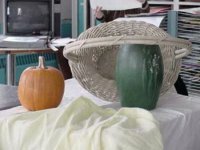 As a Western art form still life is one of the oldest.Students have used observational skills to draw the still life.Value, the element of design which refers to the lightness and darkness of a color is essential to still life study. 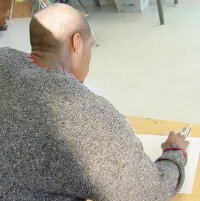 Students are also beginning to understand the concept, negative space which helps determine correct proportions. Negative space is the space around and between the shapes one is drawing. Descriptions and HTML layout by William, art student and Webmaster class student. 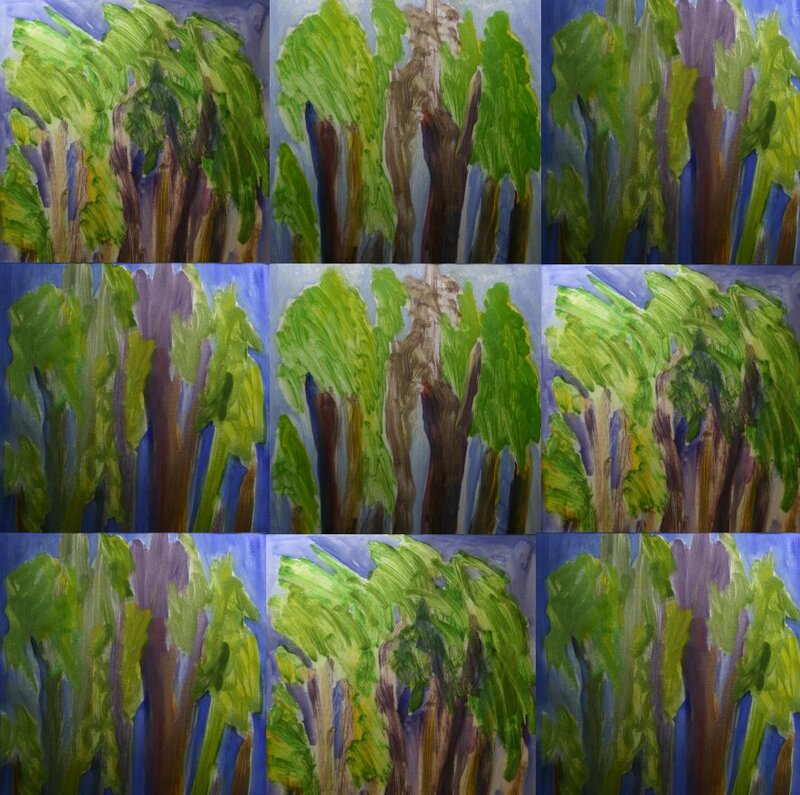 This is another painting done by a student of the picture above. This was done with a form of Perma paint. 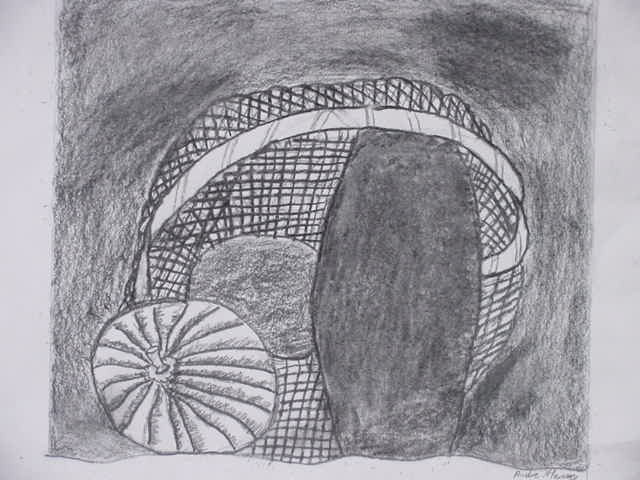 This is a charcoal sketch of still life. 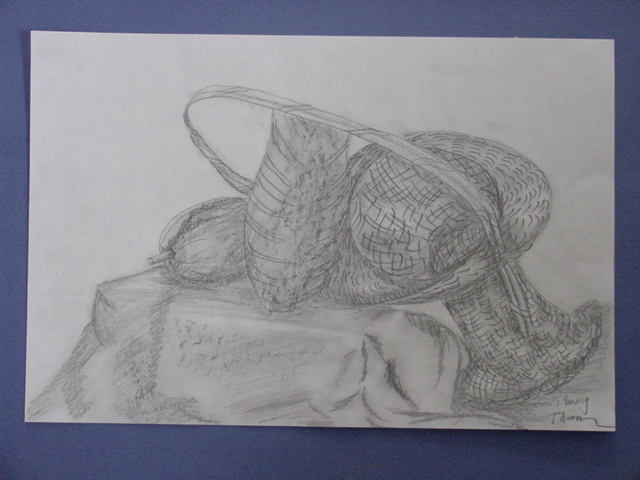 This student used charcoal to give it the black & white effect, while adding value to the shadowed areas. This still life is very intereting. 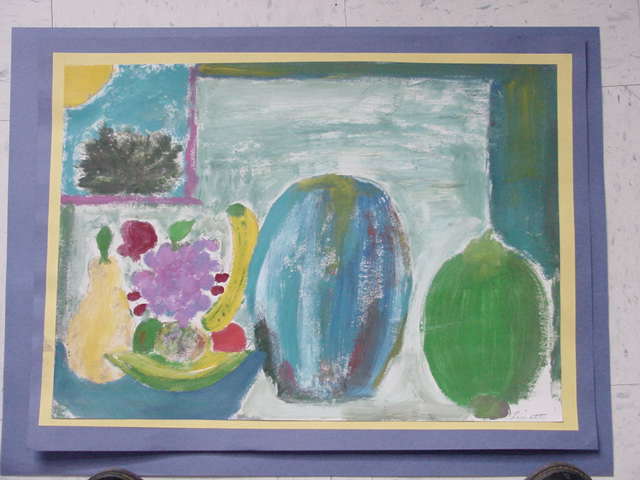 The student used a variety of different pastels to create this wonderful still life. 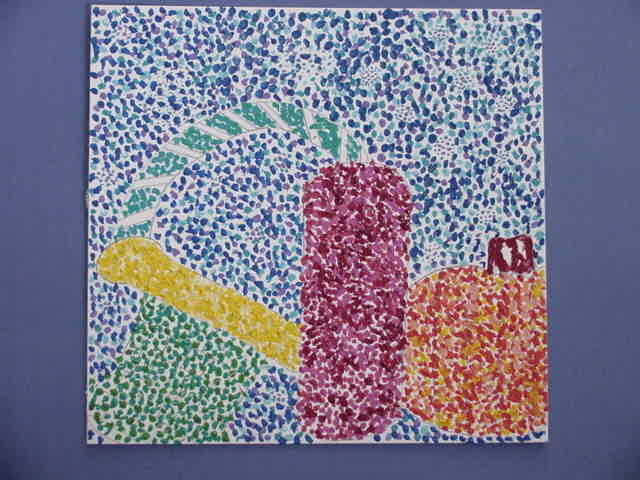 Note by Ms. Troxell: Above picture done in the Pointillist style.